This time of year its standard blogging practice to write a post where one either looks back at the year past or forward to the promises of the future. To be sure 2012 was a very trying year in my neck of the woods between surgeries and housing issues, but I refuse to recap the good, bad, and ugly and burden you with the reading of it. Towards the end of this last year I had an exciting experience, unfortunately I am sworn to secrecy about it, but the fact that it happened caused me to rethink a lot about what I do and how I do it. It made me think more about where I want to be as I move forward in my sawdust and writing adventures. I want the opportunity to sit at that table more and more often as time goes on. Hmmm.... a little cryptic huh? My apologies, let's move on. The bottom line is I have two woodworking books trapped in my head and they are struggling to get out. One is a straight forward concept, the other is a little more esoteric and research based. Both need some financial support to get off the ground, there will be new equipment and travel expenses involved and that leaves me with several choices. I could try and secure a loan, but I have been trying to shed myself of debt lately and gathering more moss is contrary to the more independent life I'm fighting for. I could start to leverage the traffic I get here by selling myself to a variety of sponsors until I'm wearing a shop apron that looks like a NASCAR entry and every other blog post is a review or announcement of some tool or event. I've considered advertisement here for a long time and to be honest I cannot get my head into it, it's not that I feel as pure about it as Chris Schwarz, but there is an integrity and independence issue with me. Some how all that advertiser/sponsor stuff just doesn't feel right in my gut. I don't want to waste my time and yours selling you someone else's crap stuff. I could continue like I am and push a little from my bi-weekly paychecks into the game. After all is said and done there just isn't that much left and this process would take me forever, I would lose patience with things and be no farther along in a decade than I am now. This really won't stop along the way, my flesh is all the way into this game, this choice just isn't enough to be realistic. None of these are perfectly acceptable, instead I'm going for a combination of two other ideas. First I am going to start to shed the excess tool baggage that's hanging around my neck. 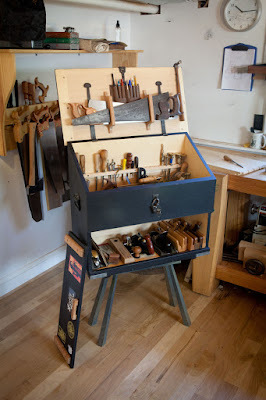 Over the next several weeks and maybe through out the year I am going to be posting tools up here on the blog for sale. These will be items I've picked up as I've grown as a woodworker. In some cases I've found that I didn't need the tool or I've found a tool that just works better for me. Some will be rehabbed, some will be as I found them. In all the cases I will only be asking what I paid for them myself, plus shipping costs. The first person to email me will get the chance to buy the item. The second part of the plan is simpler yet, for both of us. I ask YOU for help in supporting my dream. I'm including a new Paypal "Donate" button in this blog post and on the sidebar of the blog and I'm hoping you will see it as a way to give help push me along this path. There are other ways to raise money for projects like this on the internet, but to handle everything here feels like the best way to start getting the ball rolling. As my way of saying thanks I will include the name of everyone who donates on a special dedication page of both books. I'm looking forward to this new year, I hope you are too. Thank you for your readership and your supporting me in this endeavor. Have you considered doing an indiegogo.com or kickstarter.com campaign to help fund the book effort? Might not be a bad way to flesh out some of the ideas for the different projects, explain them to the community and get some backing that way. Yes sir I have thought about those sites, and if needed I will go in that direction. In my gut I really felt that starting the process here was the right thing. Only time will tell if I made the right decision. Derek, I did an Indiegogo campaign this fall to build a furniture restoration studio (http://www.indiegogo.com/kleinrestoration). I invested a lot of time and got some support. Not the goal amount but it helped for sure (People also mailed checks in addition). If you have any questions, shoot me an email at joshuaandrewklein@yahoo.com. It might help you develop the idea a bit further. I will probably be hitting you up for that advice in the near future. Good for you Derek. I hope you are able to get the books done. I can completely sympathize with you as I've had a book in draft in my head for several years now. Even started writing it. While money is of course a concern with getting the book done, time has unfortunately been much more of a constraint for me. I wish there was a way to get donations for that ;-). Good luck with your project! 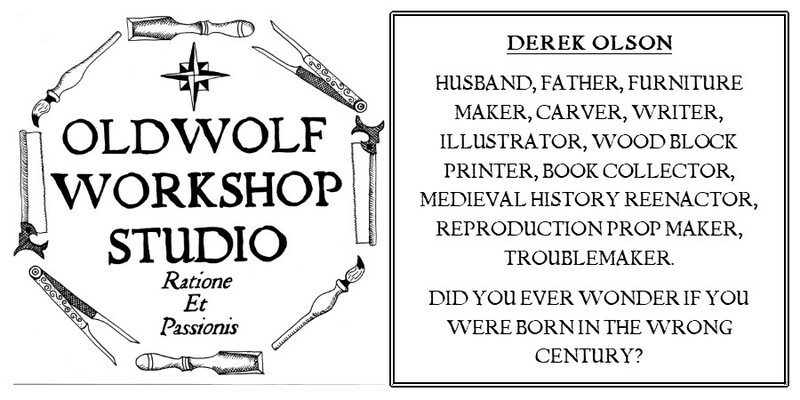 Derek, I always enjoy reading your blog and would certainly buy a book. I wish you the best of luck in your endeavor and I'm sure it will eventually work out! Good luck, Derek! Life is too short to not spend time with those you love, and to put off doing the things you love. Cool deal and it is OK to be cryptic where you must. May I suggest that you make it way easier to get back to this post and the donate button. No need to be cryptic about that. Now I go put my money where my mouth is. Best wishes. You are a good friend and I'm so happy we had the chance to meet earlier this month. Thanks for the donation my friend and I think I'll take your advice on making this a little more prominent. Good luck on your books and may you have the courage and fortitude to complete both this year...or within two. ;-) I'm a fellow blogger...I'll see you soon!!! !